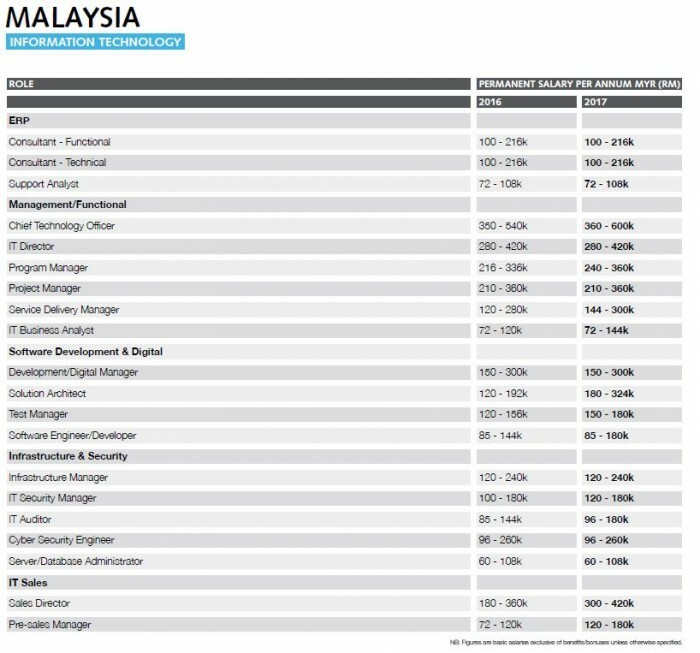 According to the latest annual Global Salary Survey from Robert Walters, Malaysia should experience a cautious job market in 2017. Businesses are expected to maintain or even reduce headcount across non-critical areas. While the oil and gas, electrical and electronic manufacturing sectors are going through the after effects of the downturn, most recruitment activity will be in revenue-generating roles across financial services and technology. HR professionals with the analytical capabilities to make sound business decisions based on data, will be in demand. Mobile engineers and software developers will be recruited to cope with the needs of e-commerce companies expanding their businesses. As companies strengthen their security practices, cybersecurity professionals will be highly sought after across industries. 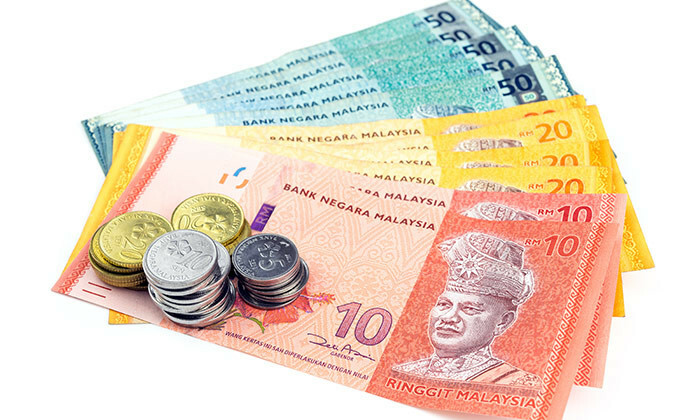 Professionals with expertise in developing and enhancing Islamic asset management products will continue to be highly sought after in Malaysia’s Islamic banking industry. Marketing professionals in the FMCG and retail sector will be expected to have social media management or programmatic buying skills in 2017. With hiring levels being stable last year as hiring managers focused on filling replacement roles, fewer new positions were created. HR professionals were also more cautious about changing jobs, placing increasing value on job security. However, there were some new job opportunities across the SME sector as these businesses were less affected by the economic downturn compared to multinational corporations (MNCs). 2017 is expected to see sustained hiring of HR talent across various industries, with the majority being for replacement roles. The report stated that HR professionals with analytical skills to make sound business decisions based on data, will be in demand. Hiring managers will also value professionals who are strategic, dynamic and resilient enough to weather organisational changes. Companies will also be seeking candidates skilled in compensation and benefits, and organisational design. As digital, mobile and e-commerce related companies expand their businesses, there will be an increase in the number of employers recruiting mobile engineers and software developers in 2017. Companies will also continue to strengthen their security practices to prevent security and information breaches, resulting in a demand for security professionals across a number of industries, but especially in the banking sector. 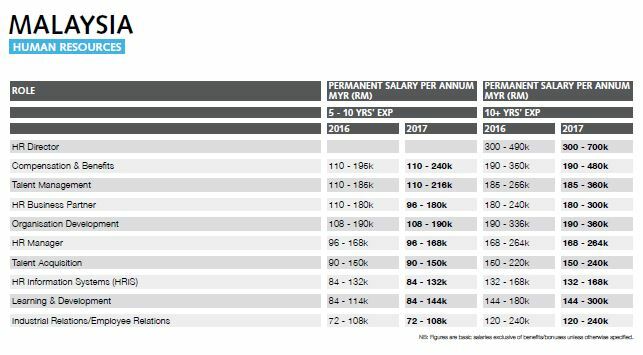 Software developers and cyber security experts can expect significant salary rises of up to 25% when moving jobs in 2017. There will also be an increase in job opportunities for IT digital project managers and business analysts, with most organisations utilising digital channels to grow their business. Inn 2016, jobseekers securing new roles benefited from a pay rise of 15-20% and this trend will continue in 2017. While hiring for traditional front office bankers will slow down this year, wealth management has seen a growing demand for licensed investment specialists – especially those with the ability to provide qualified advisory services to high net worth individuals. Similarly, in treasury markets, the demand for licensed treasury sales specialists, especially in the corporate sales segment, has increased. The smaller foreign players also started to strengthen their teams to provide fully-fledged treasury services. 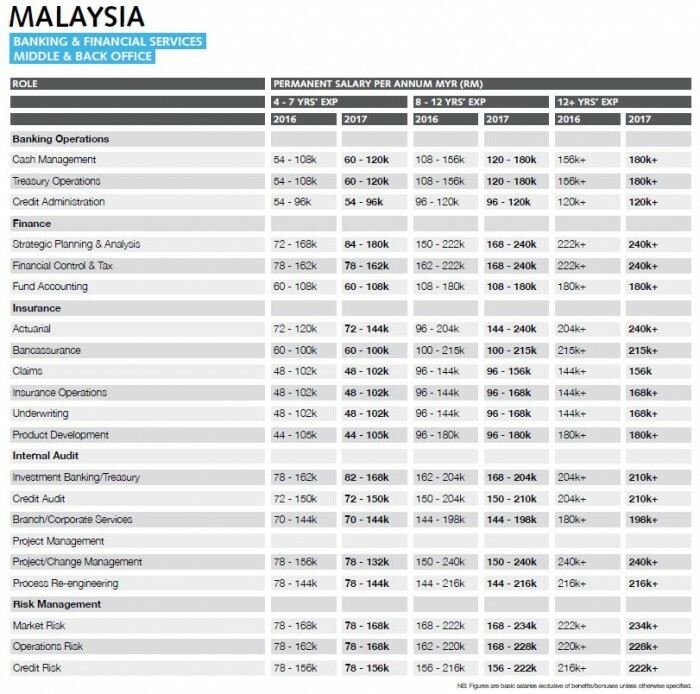 Job seekers with expertise in developing and enhancing Islamic asset management products in both equity and fixed income will be highly sought after in Malaysia’s Islamic asset management industry resulting in an increased demand for Shariah-compliant product specialists and institutional sales specialists. Due to the limited talent pool in this area, experienced professionals will expect a salary rise of at least 25%. 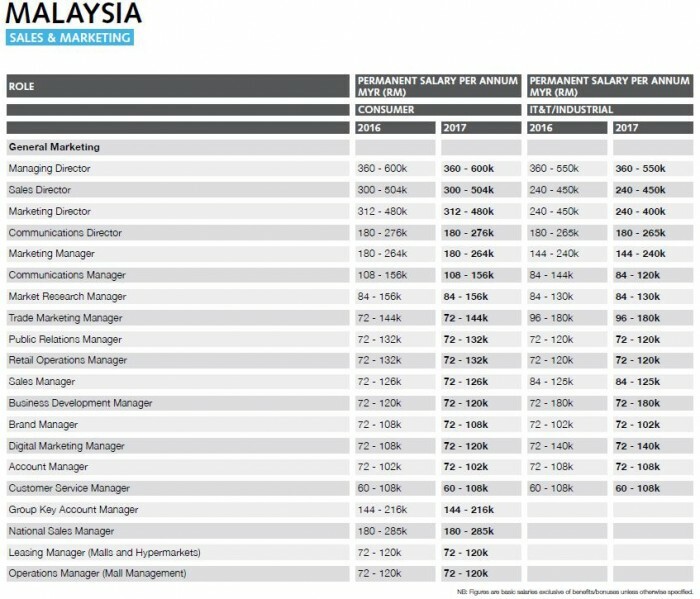 Likewise, private bankers, institutional sales specialists in asset management, senior relationship managers and treasury sales specialists can also expect a 25% salary rise when moving to another organisation. Marketing professionals in the FMCG and retail sector will be expected to have social media management or programmatic buying skills in 2017. Although, jobmovers with digital marketing experience skills are likely to be paid up to 30% more due to the shortage of such talent. 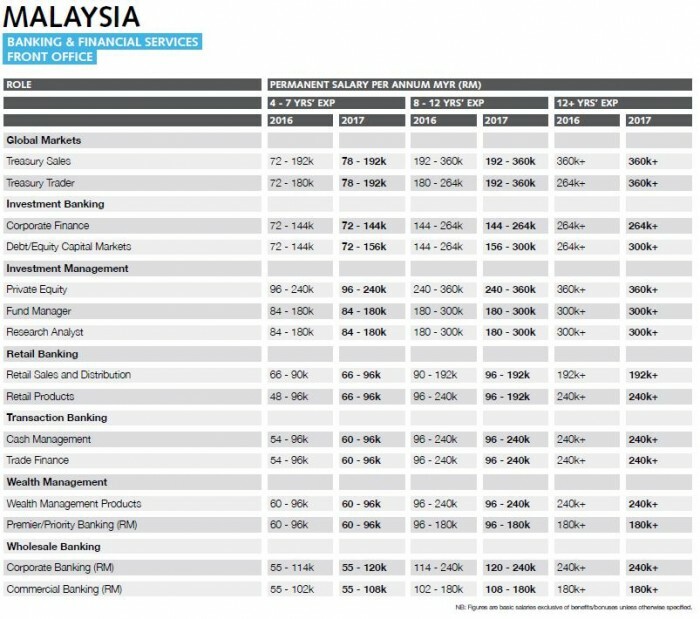 Other professionals switching jobs in these sectors can expect salary rises of 15-20%. Additionally, the e-commerce market is expected to boom in 2017 with the upcoming launch of the National E-commerce Strategic Roadmap (NESR). This will see an increase in demand for digital marketing professionals including sales managers, accounts managers and marketing managers with SEO, SEM and Google Analytics experience. "This can be an indication that they feel overstretched or insecure in their jobs and are unable to properly switch off.".. According to a new survey, most people don't negotiate when receiving a job offer. Could you be missing out?.. Forget heading out to a cafe for lunch today. Working and eating at your desk could be more beneficial for your career than taking..
Half of organisations worldwide currently have no policies in place for dealing with a pandemic like Ebola. What can HR do to be b.. The post-lunch fatigue is the hardest to overcome - why not liven up your spirits by taking the time to listen to some music or de..